Real Deal Retirement » Blog Archive » Where Should I Invest For A Safe High Return? I’m 65 and have about $275,000 in retirement accounts. I’d like to invest my money safely, but also make the most return. What do you suggest? I’d love to make some sage recommendations that give you exactly what you want. But the problem is you’re asking for two things that are diametrically opposed: safety and high returns. Unfortunately, that’s not a combination that exists in the real world. Investments with higher returns always come with more risk, whether it’s loss of principal, having to see the value of your money take frightening periodic dips or some other downside. Take stocks, for example. They clearly have the potential to deliver lofty long-term gains. Over the past eight and a half years since prices bottomed out during the financial crisis, the stock market has returned an annualized 19% or so. But it’s also clear that stocks go into periodic, prolonged slumps, falling nearly 40% on average over a period of a year in the 20 bear markets since 1929, according to this Yardeni Research report on bull and bear markets. Of course, it’s easy enough to find investments that don’t have that loss potential. If you stick to cash equivalents like FDIC-insured CDs and money-market accounts or short-term Treasury bills, you don’t have to worry about losing principal or seeing the value of your savings drop when the financial markets are in turmoil. But you’re not going to reap big gains, either. Over the past eight and a half years, for example, Treasury money market funds and 3-month Treasury bills returned only an annualized 0.2% or so. So what’s an appropriate strategy for someone in your position? I’d say it’s to steer a middle course, investing some of your savings in a mix of investments that can generate higher returns, while also devoting some to more secure investments. Or, to put it another way, achieve a balance between risk and reward that gives you a shot at decent returns while also allowing you to sleep at nights. If you’re already retired and living off withdrawals from your savings, then you would tap this reserve for retirement living expenses and fund it with one to two years’ worth of living expenses beyond what’s covered by Social Security and any other guaranteed income sources like annuities or pensions. Once you’ve set up that reserve, you can invest the rest of your savings in a mix of stock and bond funds or ETFs. The idea is to invest enough in stocks to give you some growth potential that can help you maintain your purchasing power throughout retirement, but also a large enough bond stake to limit the downside during periods when stocks take a dive. Arriving at that mix is a subjective matter that depends largely on how much volatility and uncertainty you’re willing to accept in the short-term for the possibility of higher long-term returns. I suspect that most retirees probably feel most comfortable with a stock allocation in the neighborhood of 30% to 60%. But you can gauge what blend of stocks and bonds is right for you by going to a tool like Vanguard’s Investor Questionnaire, which suggests a mix of stocks and bonds based on your tolerance for risk and the length of time over which you plan to withdraw money from your savings. As a safety check, I’d also recommend plugging the asset allocation you intend to use into T. Rowe Price’s retirement income tool, which can estimate how long your nest egg is likely to last at various annual withdrawal rates. If you’re especially concerned that you might deplete your savings prematurely, you might also consider devoting some, but not all or even nearly all, of the investment portion of your stash to an immediate annuity, an investment that turns a lump sum into guaranteed income for life. 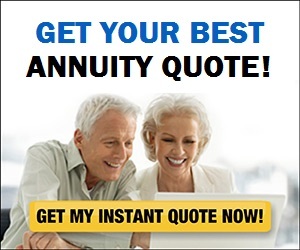 As this annuity payment calculator indicates, a $100,000 investment in an immediate annuity would provide a 65-year-old man with roughly $545 a month for life, while a woman the same age would collect about $525 a month. By choosing the “joint life” option, a 65-year-old man and woman would receive a monthly payment of approximately $470 for as long as either one remains alive. If you feel that achieving this balance of risk vs. return with your $275,000 plus any other savings you have is more than you can handle on your own, you can always seek help from a pro. Just make sure you’re getting real advice rather than a not-too-thinly disguised sales pitch for whatever investments or strategies the adviser happens to be selling. Doing a little research beforehand and asking the right questions will greatly improve your chances of ending up with someone who’s trustworthy and qualified.